While several of the environmental organizations in northern Russia are stigmatized under the 2012 ‘foreign agent’ law, the Ecological Chamber was established within the frames of Vladimir Putin’s new policy program for NGOs. On June 26-27, the organization invites for Barents EcoWeek, first at the ecological centre Bioforsk Svanhovd in Norway’s Pasvik valley. Then to Nikel on the Russian side of the border. «This event will become a significant contribution to the expansion of the presence of the ecological organizations on the world stage,» Ecological Chamber writes in the program. Barents EcoWeek is dedicated to the 25th anniversary of the Barents Euro-Arctic cooperation. Naturvernforbundet, the Norwegian branch of Friends of the Earth, is invited but will not go. «This is a highly questionable organization with a questionable event, and Naturvernforbundet has chosen not to participate,» says Yngvild Lorentzen, Head of Department for international projects. «We have asked for information about speakers and whom they have invited, but have not received any information about this from the organizers,» she says. The Barents Observer has tried to get in contact with Ecological Chamber with a list of questions, so far without any reply. 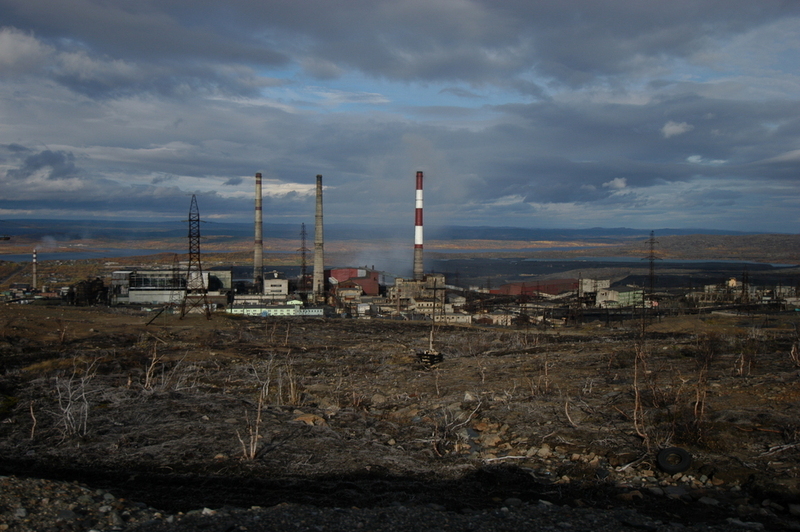 In Russia, the organization is known for being outspoken about how environmental movements should primarily be patriotic and not interfere with business and industry development. When established in 2013, Ecological Chamber got a presidential grant from Vladimir Putin of 2,2 million rubles (€30,000). Ecological Chamber claims international NGOs like World Wildlife Fund and Greenpeace get in the way of Russia’s economic development and should be replaced by «truly patriotic» environmental NGOs promoting the country’s growth. Oleg Bodrov, Chairman of an environmental network in the St. Petersburg region, says to the Barents Observer that Ecological Chamber has nothing in common with the Russian environmental movement. Bodrov was formerly working for Green World, an NGO in the nuclear power plant town of Sosnovy Bor that had to close down after being declared ‘foreign agent’ some years ago. RSEU is an umbrella organization for ecological public organizations from all regions of Russia. In the program, several agencies and international bodies were listed as «Organizers and Partners», among them the Swedish Environmental Protection Agency. 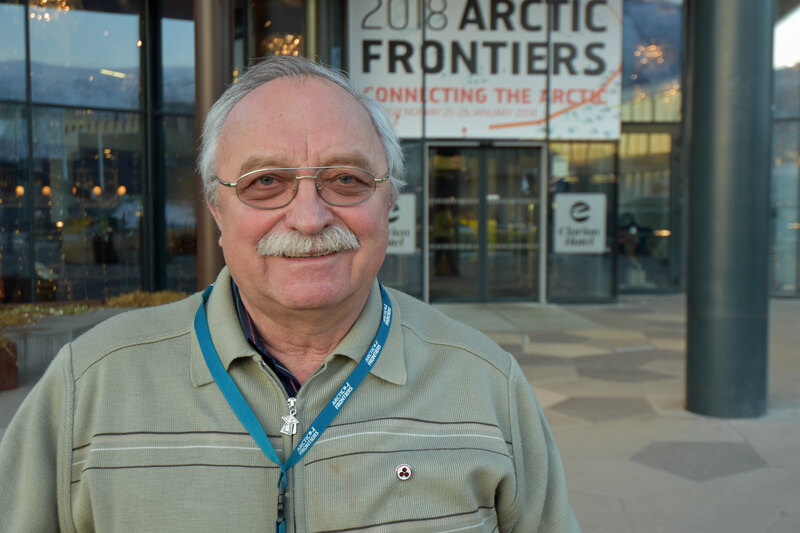 Contacted by the Barents Observer, Program Coordinator for Russia and the Arctic, Åke Mikaelsson, is surprised. 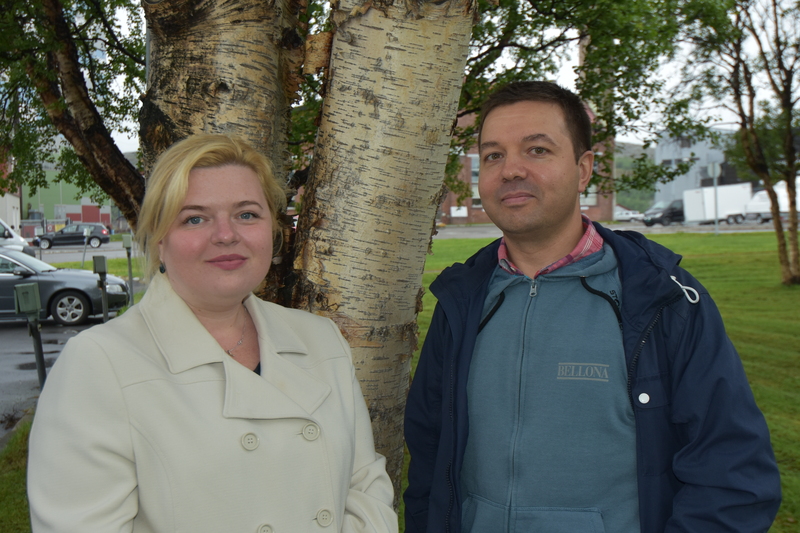 «The Swedish EPA will not have any representative in the Barents EcoWeek taking place in Kirkenes and Nikel next week and we did also not contribute to it financially,» Mikaelson explains. «… we were not included or even informed about this event,» he adds. 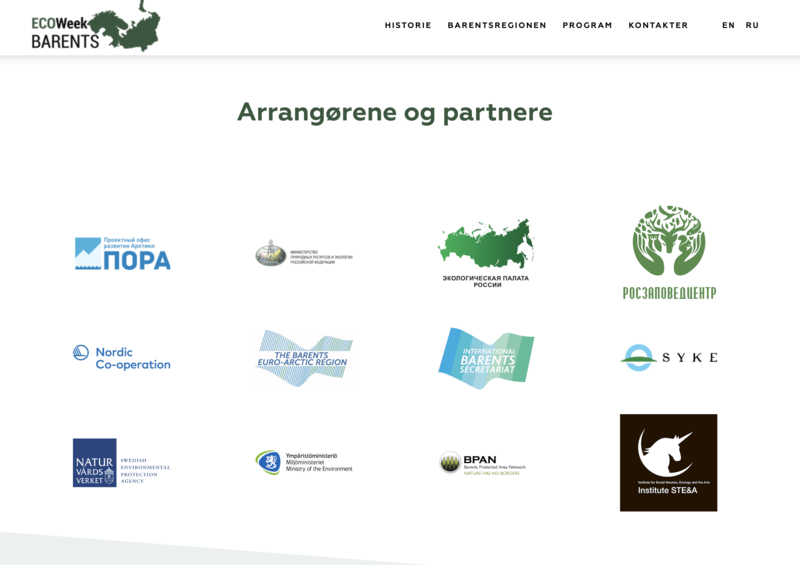 Screenshot of Barents EcoWeek’s list of “Organizers and partners” as it was displayed online on Thursday. Another office included with logo as organizer of Barents EcoWeek that also sounds surprised is the International Barents Secretariat (IBS). «We got the invitation only yesterday to this event,» tells Executive Officer Roman Gokkoev. After the Barents Observer started to call around, several logos of institutions listed as organizers and partners began to disappear from the program. Gone are the Swedish EPA, the International Barents Secretariat, Finland’s Ministry of Environment, Barents Protected Area Network (BPAN) and the Finnish Environment Institute (SYKE). Instead, a new logo came up on Friday, Russia’s Ministry of Foreign Affairs. …. we hope you enjoyed reading this article. Unlike many others, the Barents Observer has no paywall. We want to keep our journalism open to everyone, including to our Russian readers. The Barents Observer is a journalist-owned newspaper. It takes a lot of hard work and money to produce. But, we strongly believe our bilingual reporting makes a difference in the north. We therefore got a small favor to ask; make a donation to our work.